The blurb said it all. Trying to evade grandmother’s matchmaking attempt, Ramsdell – a lion shifter – was asked by his baseball teammate and best friend, Wiley – a wolf shifter, to be his posey-boyfriend at Wiley’s family’s Pack Founders’ Day. In their universe, all shifters lived together in harmony; our MCs were part of “Preston Predators Baseball Team” in the all-shifter league, they also had bear shifter, wild dog shifter, and other predator shifters as teammates. “…But you owe me. Big-time. I’ve heard about wolf pack parties.” He shuddered dramatically. “Which seed is the problem,” Ram answered drolly. This was a simple and nice light reading, leaning on humorous slant, moderate pace and devoid of angst. We journeyed through Ram’s and Wiley’s POV alternately, met Wiley’s rather eccentric and chaotic family. It was a fun reading. There were some “Whoa!” moments for me realizing that due shifters’ long lifetime, our MCs were a couple of over a century years old shifters. Here, shifters maintained their youthful face and shape even in their old some hundreds years’ life. They also talk (or argued) with their inner beasts, which proved to be some conversation indeed. Often this other half reprimanded and pointed the obvious to their more reticent human half. 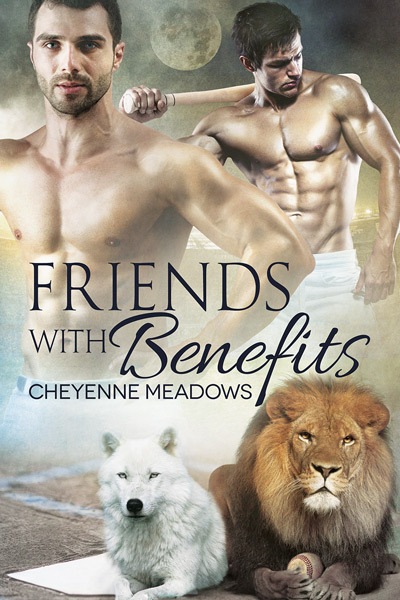 This entry was posted on February 2, 2015 by Ami in PNR / UF / SF / DYS, Reviewer: Guest and tagged 3 Stars, cheyenne meadows, dreamspinner, friends to lovers, humour, shifters.